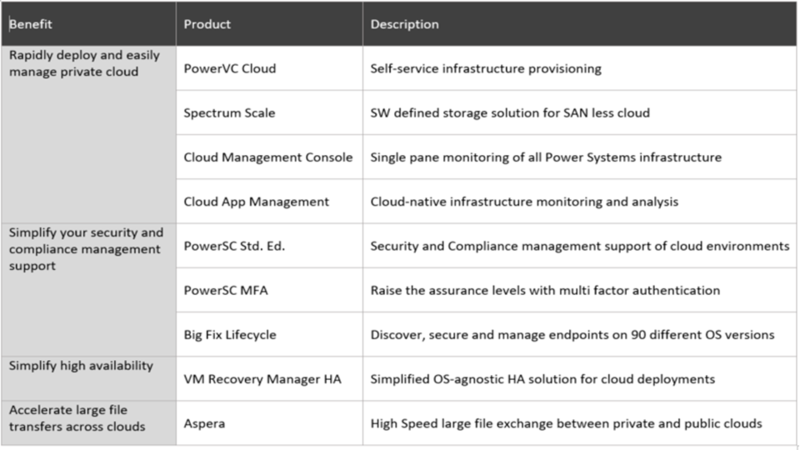 Power Systems Enterprise Cloud Editions provide cost-effective bundles of compelling software offerings that enable clients to seamlessly deploy and manage private clouds, simplify management of security and compliance, as well as high availability, and accelerate large file transfers across cloud environments. The cloud editions are available in two flavors: Enterprise Cloud edition which can be deployed in either AIX or Linux, and the Enterprise Cloud Edition with AIX, which includes AIX Std Ed. 7.2 enabling smooth upgrades from AIX EE.